In the U.S. today, video games are a multi-billion dollar industry, according to research from Forbes. And as the industry’s revenue is forecasted to increase, so are the job opportunities. That said, finding work at a game design studio is no easy task – companies want employees who have technical skills, gaming experience, and dedication. The Game Design master’s degree program prepares students for real-world work in the game industry. In the 12-month, on-campus program, students choose one of three tracks – production, user experience research, or game design – and then work with their classmates to create, design, develop, test, and launch an entire game from scratch. “Students who take full advantage of the opportunities offered by this program will gain portfolio pieces, practical experience in studio and lab environments, and valuable networking opportunities,” says Robin Koman, Full Sail’s Game Design program department chair. Before entering the Game Design program, you should have practical experience in game development – programming, 2D art, 3D art, or game design. “This is not a degree for fans of games, this is a degree for people who are passionate about making games,” Koman says. Before entering the program, you’ll ideally have worked on a game from start to finish – it’s okay if it was on an amateur level; it doesn’t have to be a professional release. Be Ready For: Students can expect to spend full-time hours on their work, which includes courses in production methodologies, project management, interactive narratives, and more. Throughout the program, you’ll be designing and building a game, and then testing that game in Full Sail’s User Experience Lab. Students also have the opportunity to work on internal studio projects that are being pushed toward professional publication, Koman says, as well as take part in networking events and game jams on campus. The bottom line: You’ve got to be ready to live and breathe gaming while you’re enrolled in Full Sail for a year. Some other traits great Game Design students have: determination and focus, an ear for feedback, the ability to understand and speak the language of the game industry, and great time management skills, which is one of the most important elements of being a successful Full Sail student. The university’s accelerated track means you’re getting a master’s degree in one year instead of the typical two. It’s a huge benefit – you’ll get a head start in the industry – but it definitely requires commitment and organization. Post-Graduation: Several Full Sail Game Design grads have gone on to work for major game studios or develop their own indie games. Grad Nicholas Lance worked on Uncharted 4 (along with 16 other Full Sail graduates from multiple other programs); and several grads work for indie studio Razor Edge Games. Bonus: The Princeton Review has cited Full Sail as a top graduate program for Game Design for several years running. More questions? 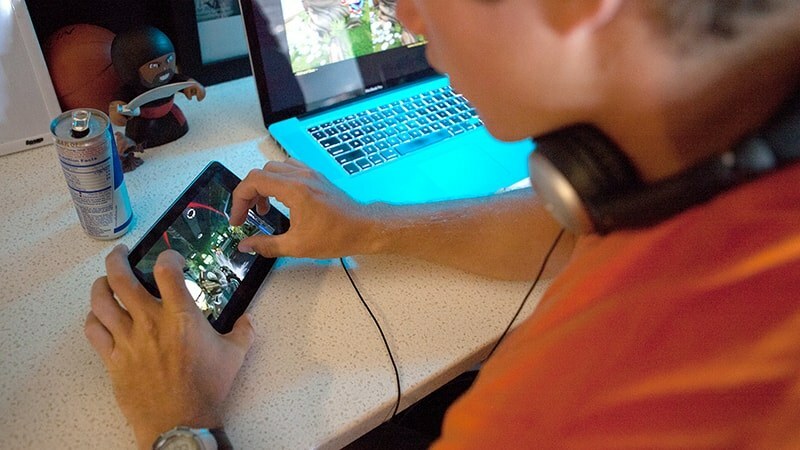 Check out the Game Design degree page here or call an admissions representative at 800.226.7625.